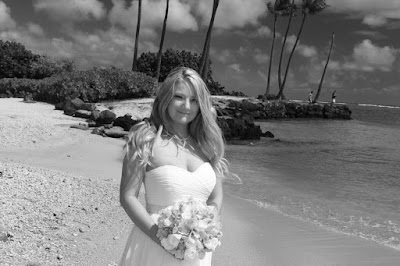 Beautiful black/white wedding photos taken at Kahala Beach. We usually like to include a few b/w pics in the mix. See the Bride's Bouquet in color.